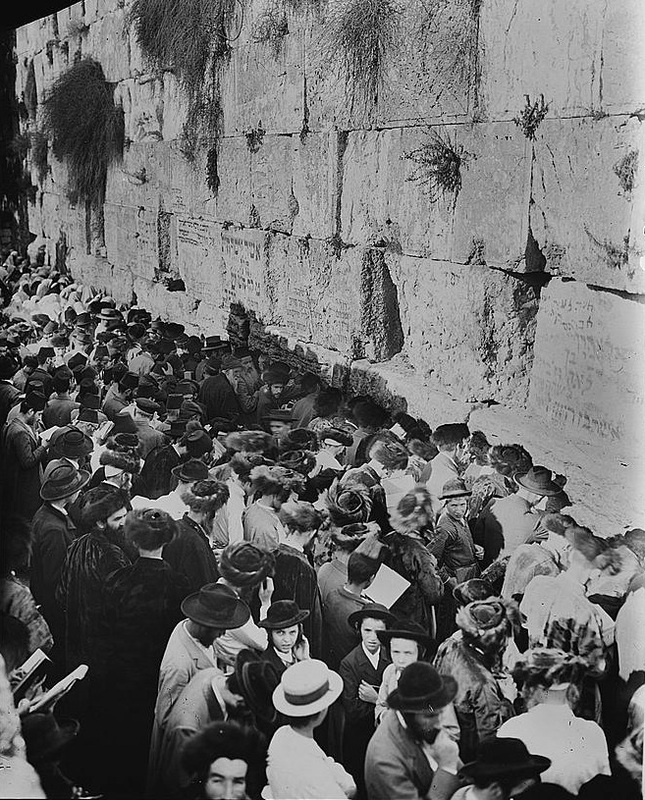 On Saturday, Jews around the world will commemorate Yom Kippur, the Day of Atonement. 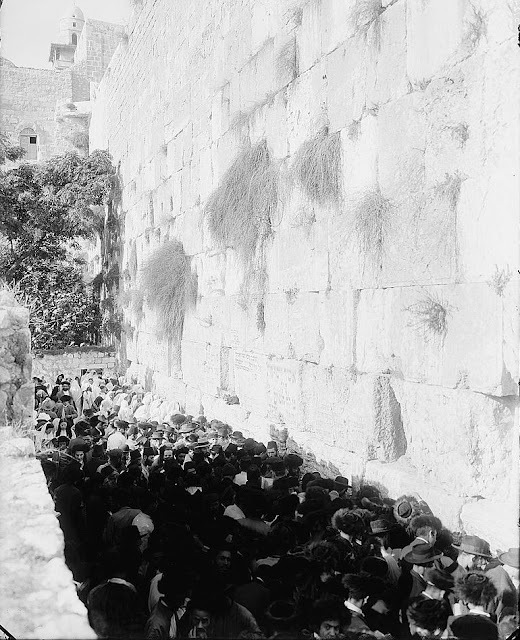 For many centuries, Jews in the Land of Israel prayed at the Western Wall, the remnant of King Herod's retaining wall of the Temple complex destroyed in 70 AD. Several readers noticed and commented on the intermingling of men and women in these historic pictures. 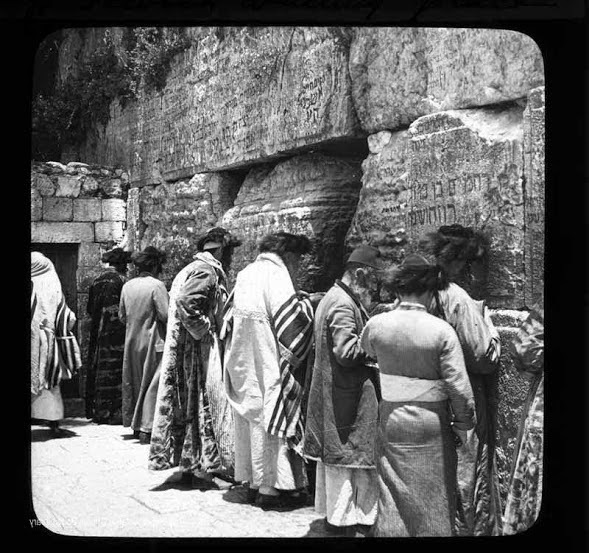 Many of the photo collections we have surveyed contain numerous pictures of Jewish worshipers at the Western Wall over the last 150 years. notices " I dont know what they are but if you look at the wall today its still all the way up there. Secondly, I do not understand why they are not wearing kittels or the jerusalem white kaftans as is the minhag of yomkipper... also halacha requires orthodox men to wear a tallis all day and night on Yomkipper .why is not even one person is dressed for yomkipper? My guess is its erev Yomkipper.